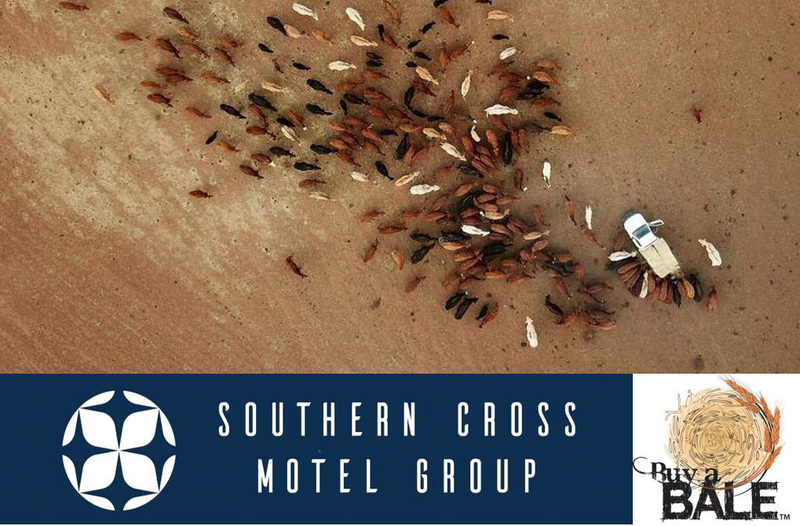 We are excited to announce that for the entire month of September the Southern Cross Motel Group will be fundraising for Rural Aid’s Buy a Bale Campaign. With 11 properties in rural Queensland and New South Wales locations, this drought is taking its toll on the families and farmers of our very own communities. As a group our goal is to raise funds to provide two trucks of hay feed, one each to be freighted to QLD and NSW farms in need. And we need your help to meet this goal! Throughout the month of September we are asking our past and future guests to help us by giving whatever you can – all donations, big and small, will contribute to much needed resources to drought-affected areas. If you’d like to donate through us you will find donation boxes at our reception desks and restaurants. Each of our properties will also be hosting their own fundraising efforts throughout September so keep your eye on our Facebook pages for all the details and join us in supporting our fellow regional Australians and the farmers who support us!